This is the miniature version of the standard change bag. It is a very compact and occupies less space than the standard change bag. As the name implies, it is used to change something to nothing (vanish), nothing to something (Production) or something to something (exchange). 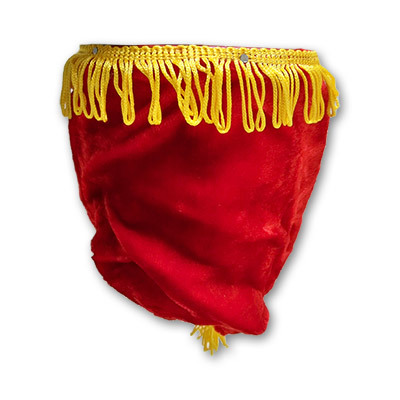 This Change Bag can be used to vanish/produce or exchange items like Watches, Rings, Hankies, ropes, currency bills, paper slips, ribbons etc.